Fake Bake originated in the U.S.A. in 1995. It was the first self tan to combine naturally derived tanning agents DHA and Erythulose – guaranteeing longer lasting (up to 50% longer), more natural-looking results. 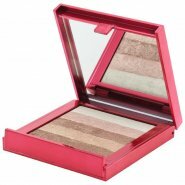 The retail range was an instant success with beauty experts and celebrities alike. Accolades and endorsements quickly followed. However, what really triggered the rapid rise of the Fake Bake Phenomenon was when the range was voted No.1 for self tan products (tested against 22 other self-tans) in the influential New York Times. 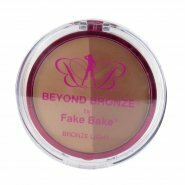 Fake Bake products are constantly developed and kept up to date to meet the requirements of evermore informed customers. Recent developments made by our in-house laboratories in the use of advanced botanical ingredients has enabled us to remove Parabens and artificial preservatives from our products, introduce added skin care benefits like anti-ageing, anti-cellulite and antioxidants, and develop seld tan products tailored for specific skin-tones. For the first time there’s a totally safe self tan tailored to the individual’s requirements. This perpetual investment in Research and Development means that Fake Bake products will always be at the fore-front of sunless tanning technology for years to come.